Let me start by issuing a battle cry. If you’re an instructional design professional, this battle cry is for you. Are you ready? Here it comes. Make fewer courses! In your loudest, most shrill voice. In face paint that would get you onto the set of the Braveheart sequel. At the top of your lungs. Make. Fewer. Courses. Far too often, we choose a neatly bundled sequence of content to deliver a nauseating prescription of information — from behind a locked set of doors — when what we really need is something else entirely. There are many sensible ways to deal with this challenge. In this post, I’ll present one way to think about content bundling that could change the way you think about course solution design. I hope it does. We see formations of objects everywhere. If you’re a football fan you know these strategic arrangements serve both offensive and defensive tactics. If you’re a military buff you know formations go back centuries to a “civilized battlefield” where the poor folks in front of the formation were the first to bite it in combat – like gentlemen. Birds operate in formations. Dancers do too. Formations have implications in fields that range from mathematics to linguistics. It stands to reason that this metaphor might also have strong application to the design of performance solutions, development opportunities, and learning experiences. 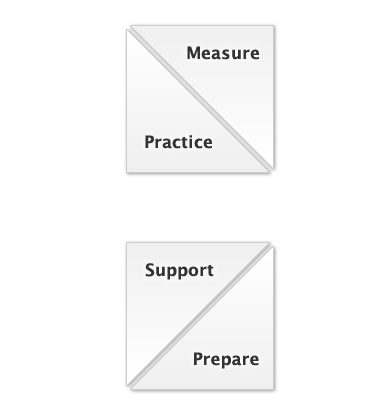 One of the things I find interesting about discussions in the learning experience design field surrounds an apparent expectation of bundling. A tight binding of all of the elements of a learning experience permanently glued together in a single formation. In the case of an LMS, this locks the entire box of toys behind a password locked gate and a truckload of clicks. The metaphor of formations resonates with me for more reasons than one. To me, the most striking implication of formations is the ways in which the experience can build through a continuum and flow to provide real tangible value when the experience is designed for formation. Formation of ideas. Formation of connections. Formation of conversations. Formation of skills. Isn’t that the essence of instruction? I’d like to delve into this quality in another post. For this one I’d like to talk about the second implication I see for design formations. This is the manifestation of parts of the experience and what it might mean to the design of a solution once these parts are decoupled. These tightly bundled packages contain all of the information (mostly information) we as designers (or stakeholders) think is needed to check a box or turn a red light green. I’ve categorized these elements into four functional categories above, intentionally avoiding information as a category. 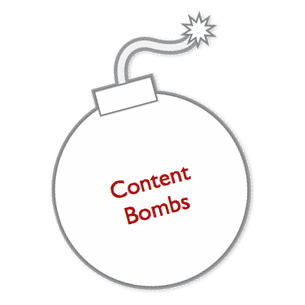 Even so, this… in so many cases, is a content bomb. This configuration, or tight formation, presents challenges. Challenges to mobile deployment. Challenges to just in time support. 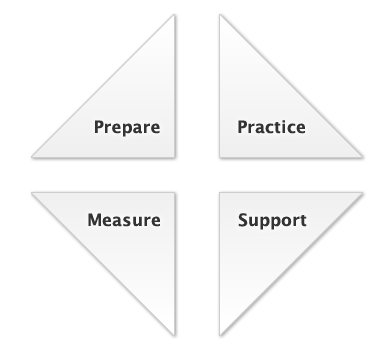 Challenges to measurable success. And most of all, this continues to challenge the patience of the performers we serve. People who just need (1) our support and (2) for us to get the heck out of the way. I’ll present a few alternate formations below and talk a bit about how these decoupled formations could help you narrow design focus and solve problems beyond the stack of content you might be dealing with in your next course solution. What if you pulled the bundle apart to form separate components. One component could live where the performer we serve works. 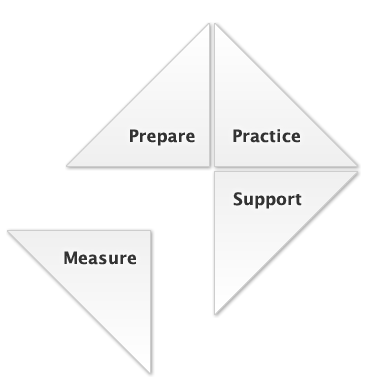 The other, if necessary, to prepare the performer to be ready to perform and measure progression. You might create an assessment component exclusively for tracking how well the performer *gets it* and put the content, support tools, simulations, and practice elements somewhere that doesn’t require a login. You get the idea. 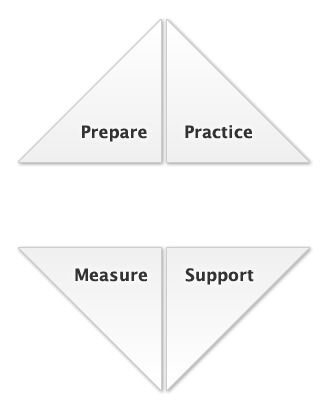 Or pull the experience apart entirely to provide service components at various moments of need. Couple certain parts of the solution into a tight formation with a separate single element or combine them in whatever way makes the most design sense in the context of your performance problem or learning challenge. A slightly different configuration for a slightly different context. Maybe you need to couple your measurement and support elements. I think this would be rare and I’d probably never recommend it, but you can see how thinking in formations adds another dimension of choices to deployment of your support and learning experiences. Make less courses! I whole-heartedly agree. As usual, great post, Steve! I look forward to your post about designing for formation. I love, love, love (!) the concept of modular design. The configurations above are interesting, but what about a *completely* modular design where the learner selects all components to build the solution she needs? 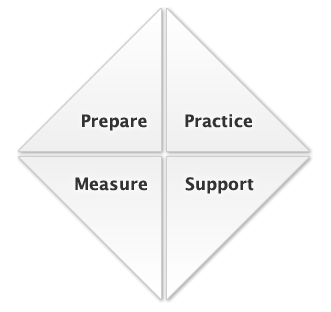 Or… if the learner doesn’t know what she wants, she could take a quick evaluation to receive a prescriptive suggestion. I think that could work if it were warranted. 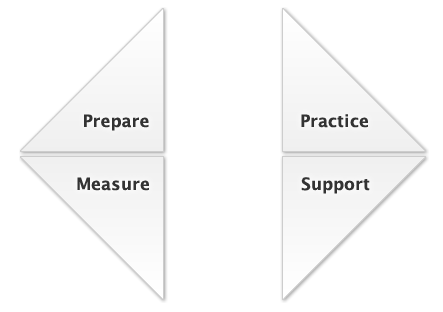 We’ve done similar in the past by associating objective “modules” with pre-test sections to tailor based on a test-out. I think it comes down to resource balance. If a full-tilt solution is what the doctor ordered, then I think a modular assembly is reasonable. Sometimes (most of the time, in my experience) all folks really need is the nudge provided by performance support to get within the skill range to be successful at a task. Choice is a good thing when it’s a good thing. Too much choice can be wasteful. Choice requires some level of forward thinking to predict how people might use the solution. I do like the idea of modal display of information. Choose to just take the assessment? When reasonable, you should have that choice. Returning to the support solution and just need a quick guide? When reasonable, you should have that choice. Just need a nudge of instruction? When reasonable you should be able to make that choice too. I have a side-burner prototype that assembles content in transformable configurations I’m calling the *ActiveTutorial Framework*. The idea is to provide a topic level assembly that is easy to navigate, search, remix, or simply change display format (from an article style to a slide style) to accommodate the needs / preferences of the widest possible audience. 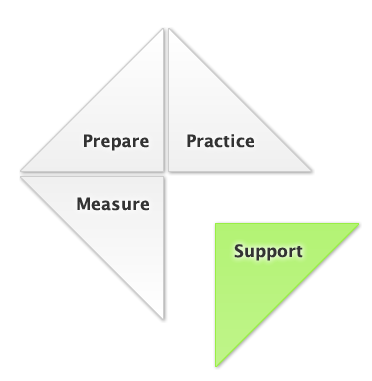 In this configuration, I still think to deliberately service preparation, measurement, support and practice. Here is something to chew on from Steve Flowers of Androidgogy: Make less courses! A virtual learning experiences doesn’t have to be a course. It could be an interactive panel discussion, an open discussion on a specific topic, a show-and-tell of learning application, group coaching… Your imagination is the limit.